Wine of course and sometimes other beverages too. Live music or some other type of entertainment depending on the event. This is a yearly festival on Waiheke Island in the summer where you can both sample some artisan food and delicious wines from all over New Zealand. While you do this, you can enjoy different types of live music at the festival. This event is always a big hit with visitors, which is why it gets bigger year after year. 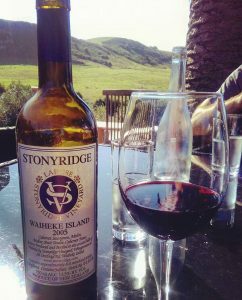 Award winning vineyards showcase their wines at the event and these include Mudbrick, Batch, Cable Bay, Goldie Wines, Postage Stamp, Woodside Hill and more. You might found a new favourite wine and this should be reason enough to attend! This festival is free to get into but you will be required to pay for any food and drink that you consume. Many people will also bring blankets and fold away furniture to Waiheke wine festival so they can enjoy a picnic with family/friends. If you are lucky enough to be in the Waiheke island area when this festival is being held, you should definitely give it a try.